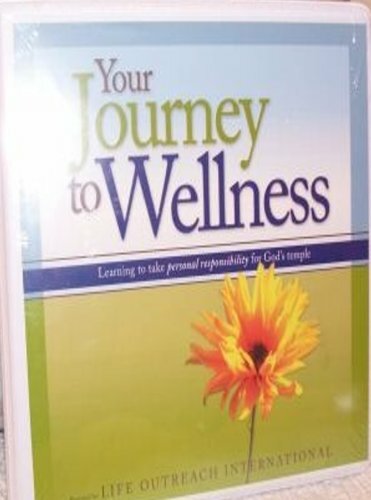 Your Journey To Wellness Boxed Set: Learning to take personal responsibility for God's temple! 6-Message Series Includes: Session 1: Jordan Rubin - Seven Keys to Unlock Your Health Potential Vol. 1, Session 2: Jordan Rubin - Seven Keys to Unlock Your Health Potential Vol. 2, Session 3: Danna Demetre - Scale Down, Live It Up! Beneath the Surface, Session 4: Danna Demetre - Scale Down, Live It Up! You Are What You Think; Session 5: Your Body, His Temple (CD), Session 6: Dr. Brazos Minshew - 10 Essentials for Feeling Your Best (CD)! Sessions 1-4 are on the 2 DVDs!